Prime Minister Justin Trudeau has violated his own conflict of interest guidelines, an ethics advocacy group says. The alleged conflict stems from the appointment of a KPMG official as Liberal Party treasurer shortly after a Liberal-dominated parliamentary committee halted its investigation into the accounting firm's offshore tax scheme in the Isle of Man. Prime Minister Justin Trudeau violated his own conflict of interest guidelines, according to NDP Leader Tom Mulcair and the head of Democracy Watch, an advocacy group on government ethics. The alleged conflict stems from the appointment in June 2016 of John Herhalt, the national "public sector leader" for accounting firm KPMG, as treasurer of the Liberal Party. That appointment came the same month that a Liberal-dominated parliamentary committee halted its investigation into KPMG's offshore tax dodge in the Isle of Man, according to an investigation by CBC's The Fifth Estate. "Last year Liberal MPs voted to kill the investigation into KPMG, that same month a director from KPMG was appointed treasurer for the Liberal Party," Mulcair said in question period Tuesday. "Ending the KPMG investigation and then hiring somebody from KPMG — that's called a conflict of interest." Trudeau replied that his government had invested $440 million in the 2016 budget to aid in hunting down tax evaders. He criticized Mulcair for suggesting the finance committee's Liberal MPs were taking their marching orders from the Prime Minister's Office. "It's troubling to hear the member opposite call into question the independent work of committees," Trudeau said. "The fact is we respect the work that the finance committee does and thank them for their hard work." 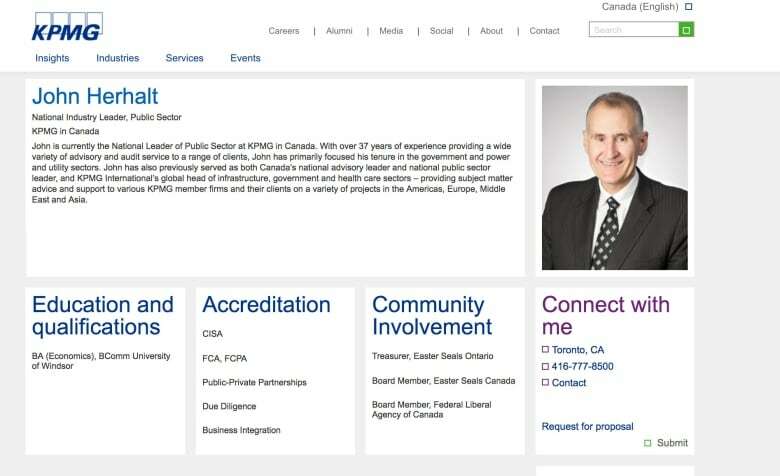 Though Herhalt retired from KPMG in 2013, he told CBC he later returned on contract to the firm in 2016 and remained there until October — five months after he was chosen to oversee the party's finances. To this day, he responds to his KPMG email in communications with The Fifth Estate. Herhalt's direct KPMG phone number and voicemail were still active Monday. The Liberal Party said the treasurer is a volunteer, non-voting position. Duff Conacher, who lectured on government and ethics at the University of Ottawa and is co-founder of Democracy Watch, says that the prime minister violated his own ministerial conduct guidelines. 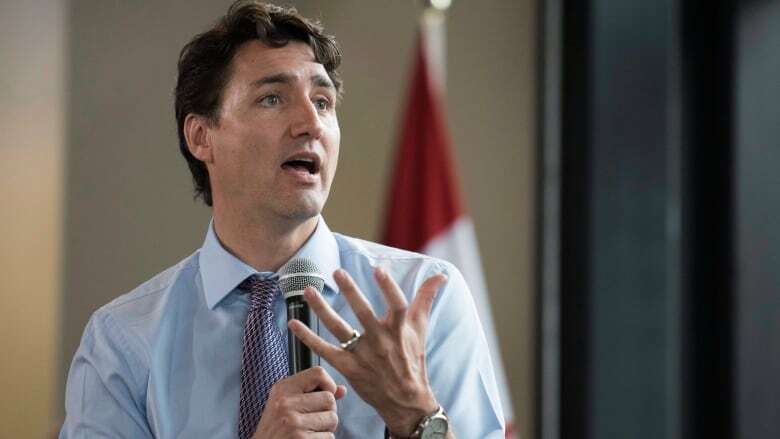 "Prime Minister Trudeau set out standards himself in a document called Open and Accountable Government that says that you can't even be in the appearance of a conflict of interest," Conacher told The Fifth Estate's Gillian Findlay. 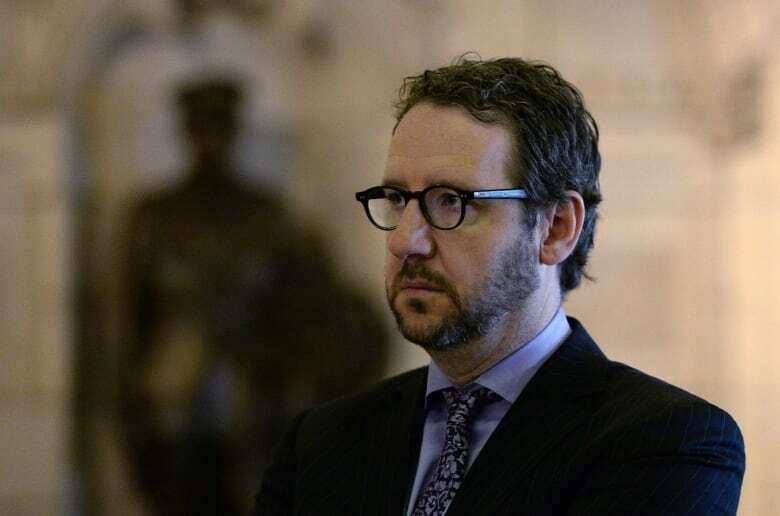 Trudeau, his principal secretary Gerald Butts, as well as federal MP Francis Scarpaleggia, all sit on the national board of the Liberal Party. The party constitution says the treasurer can only be appointed with the "consent" of the Liberal leader. Conacher says the timing of the KPMG official's appointment to the Liberal board in June 2016 is significant. That's because Liberal MPs decided to halt a parliamentary investigation into KPMG's tax dodge on June 7, 2016. The CRA has alleged that KPMG ran a "sham" offshore scheme for multimillionaire Canadians that was "intended to deceive" the federal treasury. KPMG says Herhalt retired from the firm in 2013, where he had been a long-serving partner. Herhalt returned to the firm on contract in 2016 as "national public sector leader," a position he held while appointed to oversee the Liberal Party's finances. KPMG and Herhalt say he stepped down from that position in October 2016. The accounting firm removed Herhalt's employee profile from its website after The Fifth Estate first contacted the Prime Minister's Office on May 4, 2017. "That bio should have been removed upon John's retirement but was left on the website in error and was removed this afternoon," KPMG said in a statement to The Fifth Estate. In an email to The Fifth Estate, Herhalt, who did not work in the tax division at KPMG, says he never lobbied anyone in government for any reason. He says his position as Liberal Party treasurer is unpaid. "My volunteer service with the Liberal Party of Canada has only pertained to assisting the party with administrative matters. 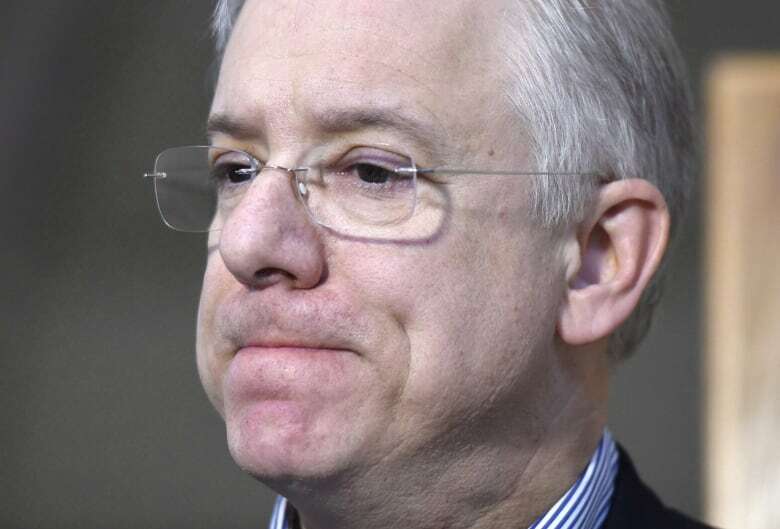 As you will understand, that work as a volunteer with the party has no relation to policy decisions, the government of Canada or the independent work of parliamentary committees and MPs," Herhalt wrote. Federal documents show KPMG registered in 2016 to lobby the Department of Finance, the Canada Revenue Agency and the Prime Minister's Office. The PMO declined to provide details about any lobbying by KPMG officials. "Staff in the Office of the Prime Minister meet regularly with stakeholders and organizations from across the country," a spokesperson said in a statement. For its part, KPMG said in a statement that while it may have registered to lobby the PMO in 2016, it never did. Parliamentary committees are set up to act independently from government, but Conacher says the optics of the committee's decision to stop its probe of KPMG are a problem for Trudeau. "The prime minister has some control over that committee and those Liberal MPs and has a representative from cabinet sitting on that committee," Conacher said. "The prime minister cannot be sitting on a board with a representative of a company that that committee is investigating. It's a clear conflict of interest." Lawyers for KPMG had argued it would be unfair for the probe to continue while a tax court case involving one of the accounting firm's clients was ongoing. In a statement, the Prime Minister's Office said the committee investigating KPMG decided "independently" when to stop hearing witnesses. The committee issued its report on October 2016, but made no explicit references to the KPMG tax scheme in its recommendations. A spokesperson for the Liberal Party said their national board never discussed the parliamentary inquiry into KPMG. In a statement, the Liberal Party said "Mr. Herhalt's role with the Liberal Party of Canada is as a volunteer, and has consisted strictly of assisting the board on matters related to party administration and finance, not policy decisions."